Is it round end up, and where do you place in thumb hole? The round end of the tape goes down in the hole while the flat side will be even with the top edge of the hole. Because this tape is textured to enhance your grip, you would position this in the hole so your thumb is gripping it on the "palm side" rather than the back side of your thumb. Do the different colors have different textures from one another? Hello. For this particular tape, the different colors will not have different textures, they will have the same texture. 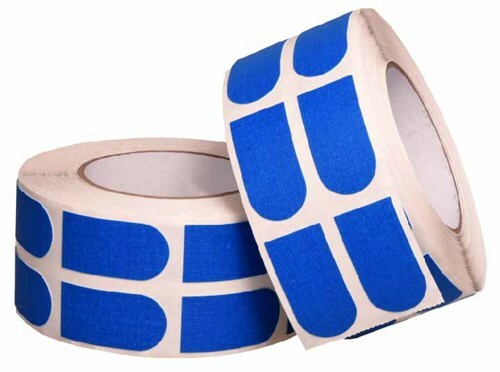 Due to the time it takes to produce the Turbo Grip Strips 3/4" Blue Tape 500/Roll ball it will ship in immediately. We cannot ship this ball outside the United States.